TRUMPower has released the new 120W TDM120 series of low cost medical grade AC/DC desktop power adapters to its product line-up. Using the power supply ensures compliance to the latest IEC/EN 60601-1-2 4th edition medical EMC standards. The TDM120 Class I units come with an IEC 320/C14 or IEC 320/C6 AC inlet and class II units are furnished with an IEC 320/C18 or IEC 320/C8 AC inlet. The power adapters are available with 12V, 15V, 18V, 19V, 20V, 24V or 48V outputs, making them suitable for a wide range of applications. Standard output plug for the 12V and 15V models is a 4 pin DIN. The 18V-48V models are equipped with a 2.5 x 5.5 x 9.5mm barrel connector as the standard. TRUMPower offers additional connector and cable options upon request. The TDM120 series is approved by UL/cUL and TUV to the latest medical standards, including IEC/EN/UL 60601-1 Edition 3.1, ANSI/AAMI ES 60601-1: 2012, CSA-C22.2 No. 60601-1: 2014. 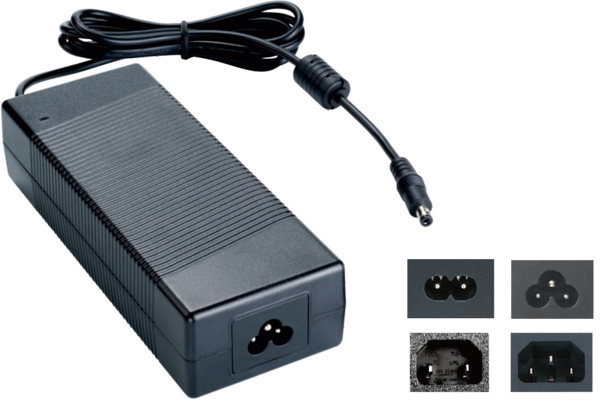 The power adapter complies with IEC/EN 60601-1-2 4th edition medical EMC and immunity standards including EN 55011/FCC/CISPR 11 class B (conducted and radiated emissions), EN 61000-3-2 and others.